People with Parkinson disease, dystonia and essential tremor can benefit from deep brain stimulation. Deep brain stimulation (DBS) is a surgical procedure that is done by a neurosurgeon. 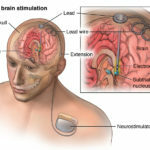 The surgery was introduced in 1987 and involves the implantation of a neurostimulator which sends electrical impulses, through implanted electrodes, to specific areas in the brain. This treatment may reduce tremor, stiffness and rigidity in some movement disorders. People with Parkinson disease may also benefit from Duopa therapy. Because the digestive system slows over the course of the disease, it can become increasingly difficult for medication to be delivered and absorbed, keeping symptoms at bay. 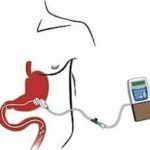 Medication delivered through a portable pump can bypass the stomach and offer a consistent, continuous dose of Parkinson’s medication. The PEG-J procedure which is required to place the delivery tube for Duopa is reversible.